We have launched our new application! 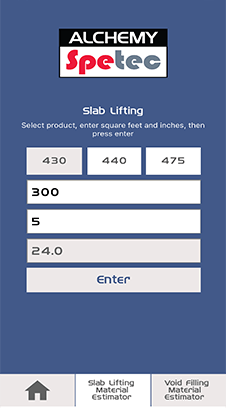 Finally, a polyurethane estimating calculator for slab lifting and void fill jobs. 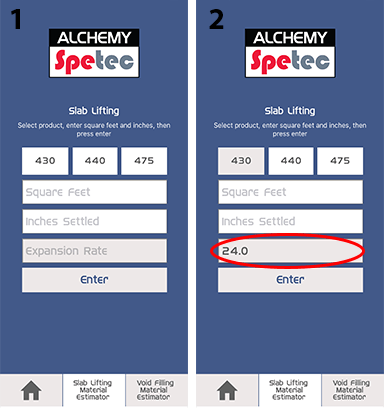 This app is a simple, fast, and reliable way to take the guesswork out of estimating Alchemy-Spetec polyurethane slab lifting and void filling materials while prepping for a job. 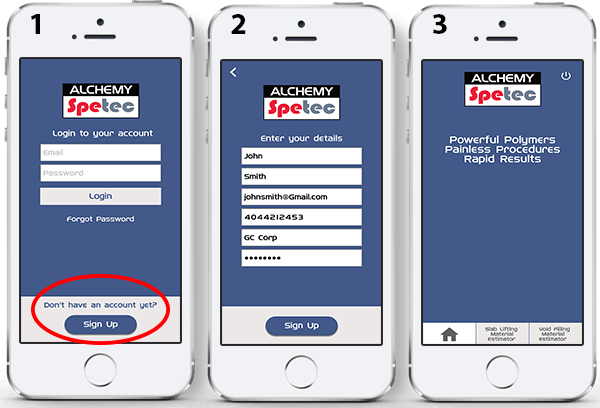 Search Alchemy-Spetec in your Apple App Store or Google Play Store to install the Poly Estimating App. After installing the app, create an account by clicking "Sign Up" at the bottom and following the prompts. 3. Click the Slab Lifting Material Estimator or Void Filling Material Estimator button at the bottom. Watch for the expansion rate to appear at the bottom once you've selected the product. Enter the square footage of the slab and number of inches the slab has settled, then press enter. 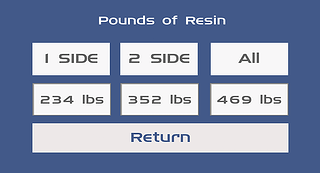 The final screen displays the amount of resin needed for your specific job. You will see options for slabs in which 1 side is settled, 2 sides are settled, and all sides are settled.